Is PhotoShop too hard to understand and learn? If yes, then you can try this Free alternative. It may not be as advanced as PhotoShop but surely has some impressive editing capabilities. Paint.NET is free image and photo editing software worth checking out. 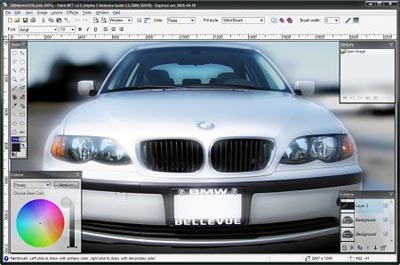 Easily use Layers to render transparency & morphing of images. Get support from Active community, tutorials and plugins. New Features and upgrades are also being added regularly. Number of special effects including distortion, noise, embossing etc. It has powerful tools for gradients, drawing lines and curves. Unlimited History to undo or redo an action. You don’t need to spend a buck, its all FREE & open source. One very effective and free alternative to hi-fi software editing software in the market. It has clean interface to quickly understand and search your way-through in implementing effects on your photos. Get set and start playing with your photos. Yahoo Messenger 9.0 is out - Download it Now !